I had seen a number of reviews on various book blogs that I read and still wasn't fully convinced that I might enjoy this book. But after seeing it available at the library and realizing it really wasn't all that large of a book, I figured I might as well take it home and try it out. The fact alone that the main character Josey has a serious sweet-tooth, had me tied into the story. And I loved how the author named each chapter after a different kind of candy. I could easily see this book made into a great movie with someone like Amanda Bynes playing Josie - quirky, yet cute and fun. I was very pleasantly surprised and fully enjoyed this magical and even whimsical story. It wasn't so far-fetched that it would be considered fantasy, and it was just the right amount of pixie dust scattered through out the pages that made it absolutely enchanting and endearing. 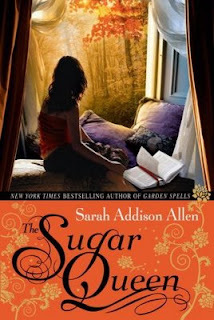 I loved Sarah Addison Allen's style of writing and I'm very much looking forward to her other book Garden Spells, which she wrote before this one. Description: In this irresistible follow-up to her New York Times bestselling debut, Garden Spells, author Sarah Addison Allen tells the tale of a young woman whose family secrets—and secret passions—are about to change her life forever. Fleeing a life of bad luck and big mistakes, Della Lee has decided Josey’s clandestine closet is the safest place to crash. In return she’s going to change Josey’s life—because, clearly, it is not the closet of a happy woman. With Della Lee’s tough love, Josey is soon forgoing pecan rolls and caramels, tapping into her startlingly keen feminine instincts, and finding her narrow existence quickly expanding. Before long, Josey bonds with Chloe Finley, a young woman who makes the best sandwiches in town, is hounded by books that inexplicably appear whenever she needs them, and—most amazing of all—has a close connection to Josey’s longtime crush. As little by little Josey dares to step outside herself, she discovers a world where the color red has astonishing power, passion can make eggs fry in their cartons, and romance can blossom at any time—even for her. It seems that Della Lee’s work is done, and it’s time for her to move on. But the truth about where she’s going, why she showed up in the first place—and what Chloe has to do with it all—is about to add one more unexpected chapter to Josey’s fast-changing life. Brimming with warmth, wit, and a sprinkling of magic, here is a spellbinding tale of friendship, love—and the enchanting possibilities of every new day. Hey, thanks for linking my review, and I'm so glad to have discovered your blog.. very nice! Amanda Bynes would be an ideal choice for Josey!! We need to call someone in Hollywood and suggest that! I predict you will like Garden Spells. It would be hard to choose between the two, but I think I liked it just a bit better than this one. Although it's pretty much a toss up. I want to read this one. I did read Garden Spells and I loved it. It's a sweet, magical tale. I did review it on my blog a while back. I have a sweet tooth too and you made this sound really appealing. Will have to add it to my wishlist. I'm bloghopping and that's how I landed here. You can follow my progress by reading the latest post on my blog. 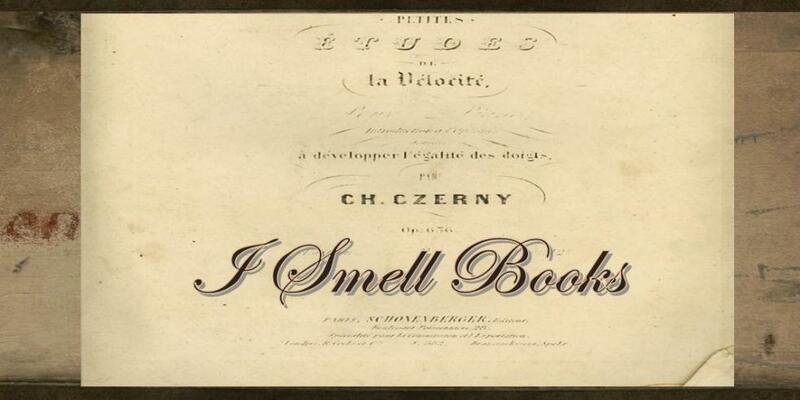 I smell books...literally. Its a little something I picked up from my dad after watching him choose one of his leather bound and gold leafed classics off the shelf, rub the outside cover, open to the very middle pages and inhale deeply the smell from the book. It's a trait I hope to pass onto my own kids someday, a piece of my history. As a little girl my favorite things were not dolls, clothes, or even trying on make up...it was the shelves of stories that I would read over and over again. If I was bad, oh please send me to my room! And there I could spend hours just reading, escaping to my own world of imagination, sitting on my Holly Hobby bedspread and watching the Cherry Blossoms dancing outside my window. 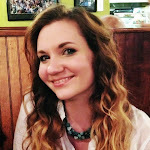 As an adult, I still have a passion to read and I've decided keeping a book blog was a great outlet for my thoughts on books and connect with others who share this same passion. 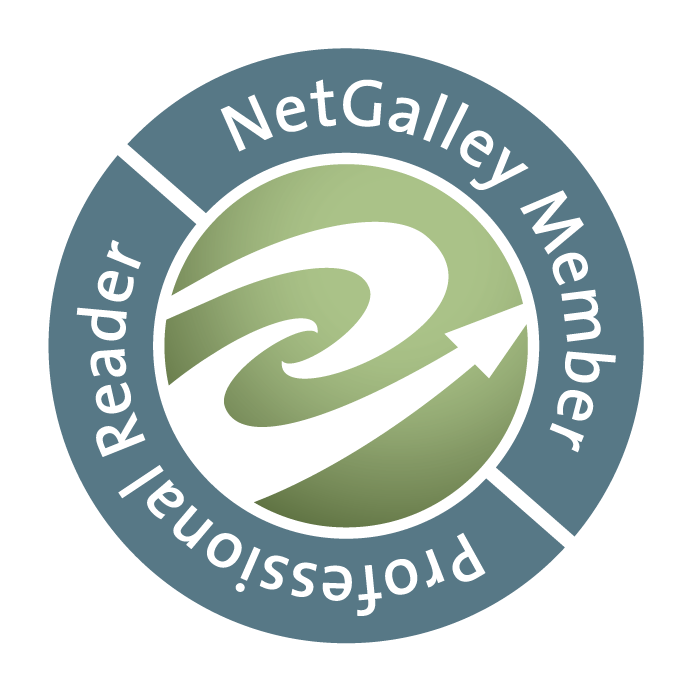 Proud to be a NetGalley Member! Other Book Blogs I Smell...Browse! Some gas would do us all some good! 2-4-6-8 Who Do I Appreciate??! !